A massive thank you to my instructor, Janet FISH School of Motoring for giving me the confidence and skills required to pass my driving test today! 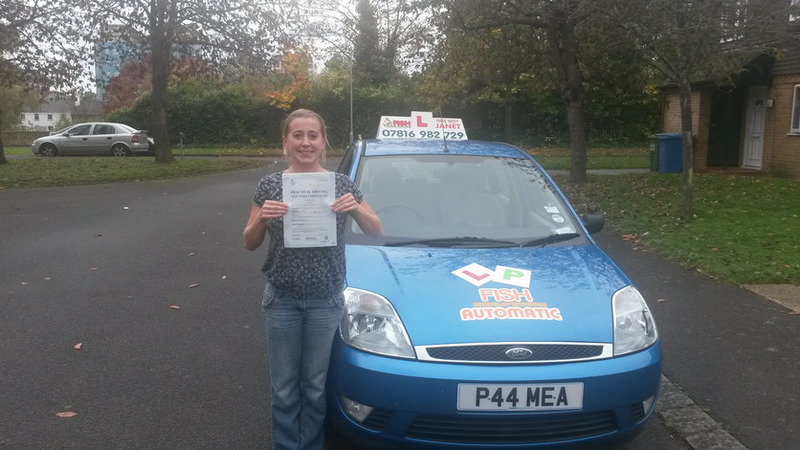 Janet was very patient and calm, which helped me with my nerves, especially on my test day. I would definitely recommend Janet @ FISH School of Motoring. 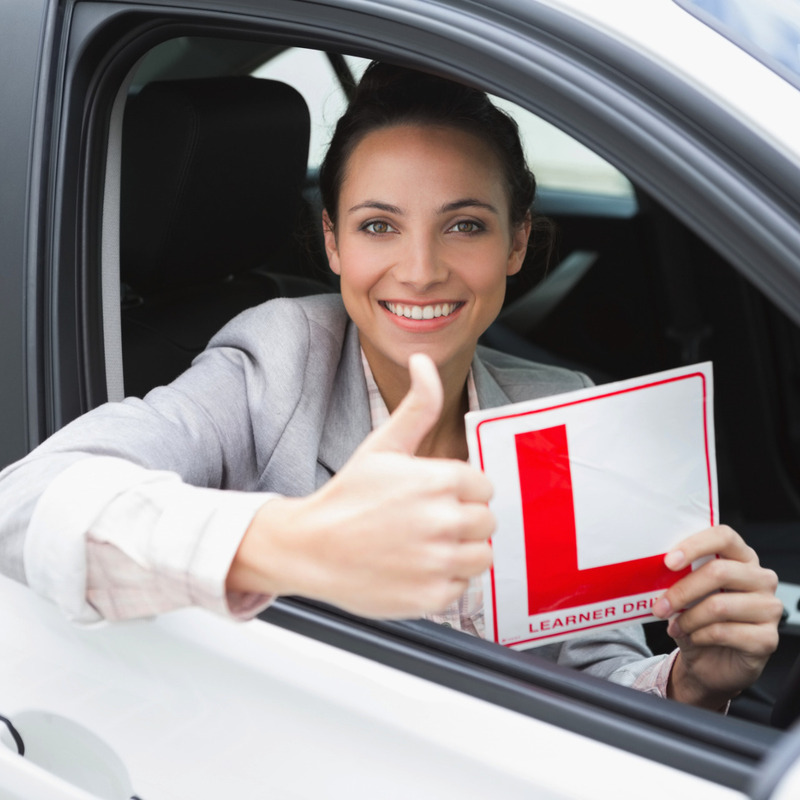 Janet was calm, patient and had excellent methods of teaching that gave me the confidence & know-how of how to drive and assess road situations. Her possitive, friendly attidude and her willingness to go over anything I did not understand helped me to relax and enjoy the learning experience. 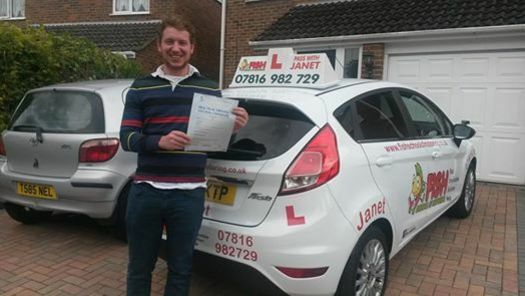 Janet has taught me how to be a good and sensible driver for life - I wouldn’t have passed without her. Thank you Janet and Thank you FISH School of Motoring. I would highly recommend Janet as a driving instructor. 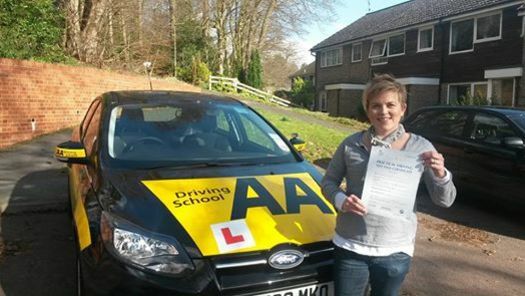 I was very nervous as a first time learner but Janet has helped me to pass my test fist time! 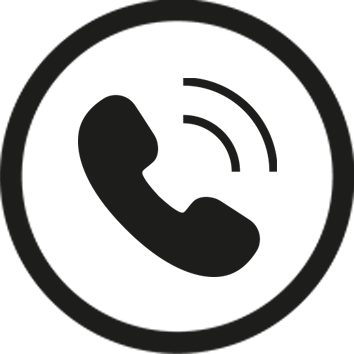 I felt very comfortable learning with Janet, she is calm, patient and offers brilliant advice. 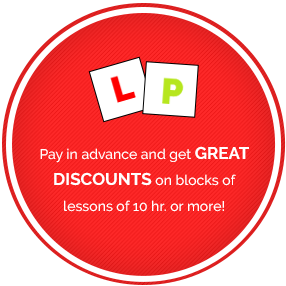 She is a very cool instructor always willing to help make things easier for you whether its for arranging lessons or understanding manouvers. We had many funny and enjoyable lessons. 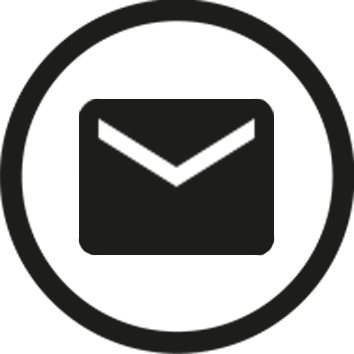 Janet made everything seem simple & straight forward and she even sent me an email with all the manouvers on describing them in step-by-step detail to help me remember them. I will never forget Janets advise to be a good safe driver for the rest of my life. 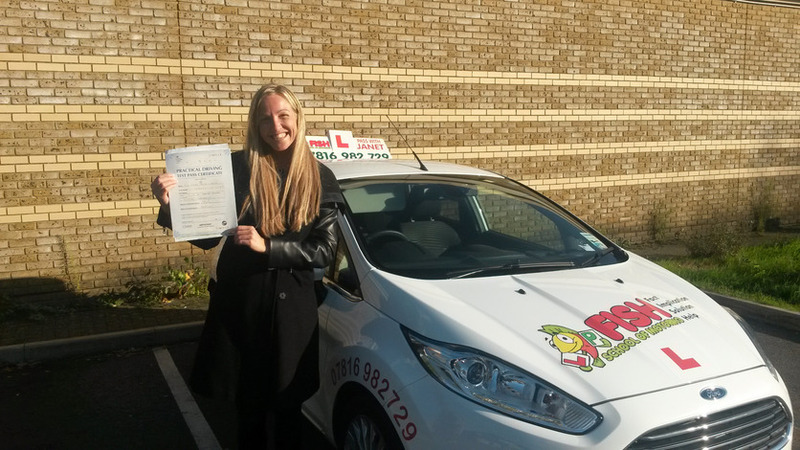 Anyone thinking about learning to drive and want to pass first time , choose Janet @ Fish School of Motoring !!! 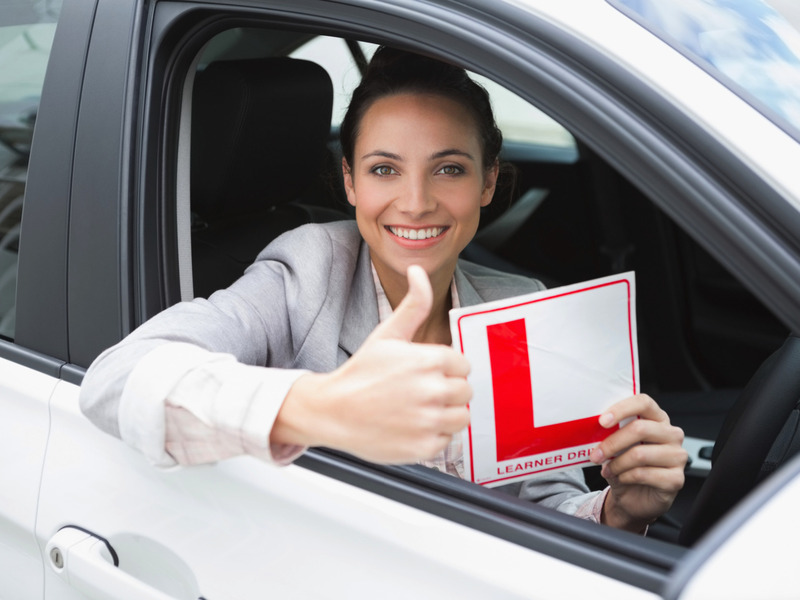 Hi Janet here is my thought on my training now, I really enjoyed my driving lessons with Janet as she was always patient. Instead of taking a more aggressive approach to teaching, like my previous instructor before Janet, Janet was more calm and supportive. A couple of my friends were having lessons with Janet and recommended her to me. I´m glad I changed as Janet pointed out some things I was doing wrong and made a few changes to my driving. When making any mistakes, she made me realise about it and gave clues to correct if off in future. It is really easy to get on with her as she is a very very friendly person. I am glad I took my lessons with her. I was soon taking my test and passing it. Thanks Janet and I would really recommend her to others. Claire B. Passed with ZERO Driving Fault in Farnborough in AUTOMATIC car. I put off learning to drive for years as I been a nervous driver and had a couple of bad experience with different instructors in the area. I went on automatic as I tried manual car before and I just could`t get my had around it. But that’s how I felt with my reversing manoeuvres as well before I met Janet from FISH School of Motoring. She was always very patient and easy going. She explained the manoeuvres in a really easy to understand way that I found very helpful as well. On my 1st attempt on my driving test for my complete surprise I passed 1st time with no fault being recorded. I would highly recommend Janet for anybody who thinking to learn to drive. 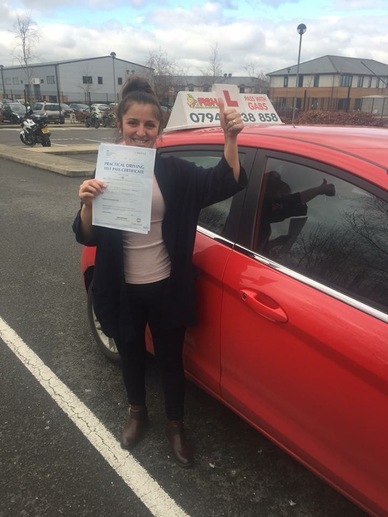 Janet is such a truly amazing driving instructor, so calm, so honest and lessons were always fun, i never felt under pressure, always felt calm never nervous. She has an excellent teaching technique, i would highly recommend Janet to friends or family in the future! I passed 1st time!! :-) Thank-you so much Janet. I appreciate everything you have taught me. Would like to thank Janet from FISH School of Motoring for taking me on 3 days before my test and helping me pass at such short notice. I would definitely recommend choosing Janet for any learner driver.